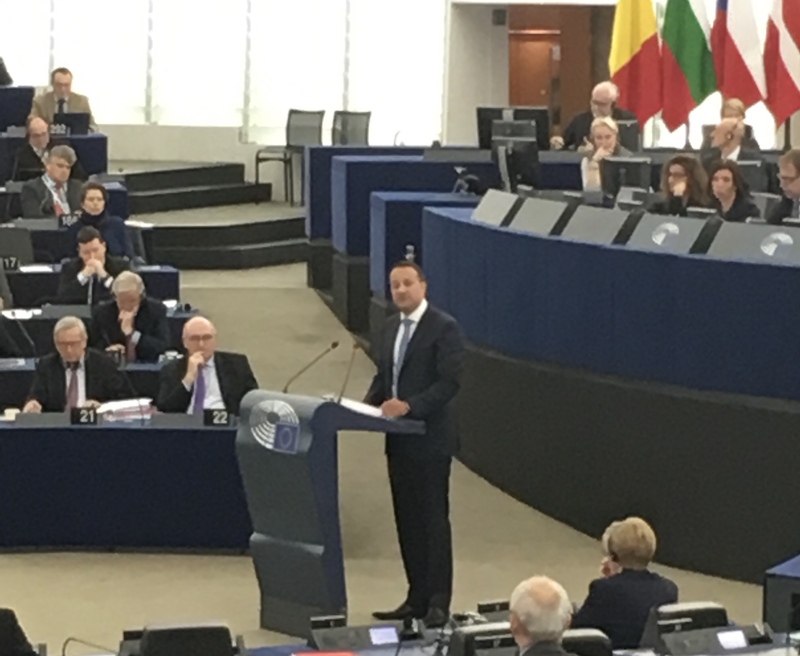 Yesterday the Taoiseach, Leo Varadkar, addressed the European Parliament, the first in a series of debates between EU government leaders and MEPs on the Future of Europe. So what was agreed in theory? During the first round of Brexit negotiations, the UK guaranteed that there would be no ‘hard border’ between the North and South of Ireland, and that “in the absence of agreed solutions, the United Kingdom would maintain full alignment with the rules of the Internal Market and the Customs Union”. They Government did not say how this would be achieved. As Mr Varadkar reminded us yesterday, this means no new barriers to movement or trade between the North and South. This commitment will come as a relief to the majority of people in Northern Ireland who voted remain in the Brexit referendum, the majority of Northern Ireland resident who are EU citizens, as well as the majority of politicians in Northern Ireland who want to stay in the Single Market. As Mr Varadkar said yesterday, it is a commitment that Ireland will ensure is turned into “legally binding language”. So no border in Ireland means a border in the Irish Sea? Not while the DUP wields a veto. 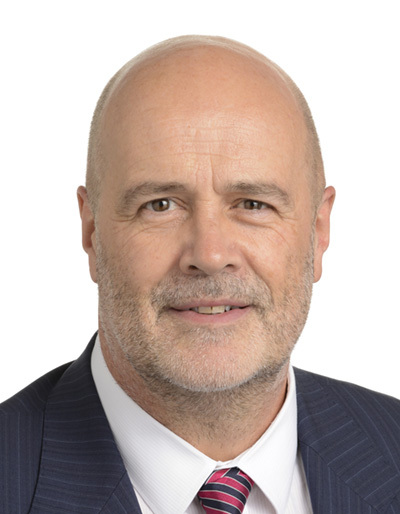 In the same round of Brexit negotiations, the UK government also agreed that “in the absence of agreed solutions, the United Kingdom will ensure that no new regulatory barriers develop between Northern Ireland and the rest of the United Kingdom,” ensuring that the United Kingdom will continue to ensure the same unfettered access for Northern Ireland's businesses to the whole of the UK internal market. With the DUP - who are propping up this minority Conservative government - effectively wielding a veto over negotiations, this was a commitment Theresa May had no choice but to make. It ensures that if there is to be full alignment with the rules of the Single Market and the customs union in Northern Ireland, there must also be full alignment across the UK. Doesn’t this imply continued membership of the single market and customs union? If you’re now thinking that these dual commitments seem hard to reconcile with the Conservative government’s mandate-free, hard-Brexit stance that the UK must leave the single market and the customs union, you’d be right. So, the UK government has made promises it can’t keep? Correct. It is simply not possible for Northern Ireland and/or the UK to exit the single market and customs union without there being checks and controls on the movement of goods. Being part of of the Single Market and Customs Union requires these in order for it to function. And if there is to be full alignment with the rules of the Single Market and the Customs Union in Northern Ireland, the DUP have been clear that there must also be full alignment across the UK. Which, by the way, would be fine by me. This leaves the government hoping that it can come up with some kind of technical fix. An “agreed solution” that will allow it to continue with cross-border trade without having to impose customs posts and borders. Trouble is that’s not how a customs union works - at some stage checks on what is actually in the lorries has to happen. It has effectively kicked the can down the road; unable to impose a hard border with Ireland, prevented from doing the same in the Irish Sea, and committed to a hard-Brexit stance on membership of the single market and customs union. The answer to how to square this circle is blindingly obvious: continued membership of the Single Market and the Customs Union. Anything else will be deeply damaging to the UK economy and, as the UK will have to abide by the rules to trade with the EU27 in any case we might as well have all the advantages. It may well transpire that Theresa May is finally forced into this position as the only solution to the unresolved Irish border issue, but in the meantime, Labour must start leading. Labour has a clear opportunity to attack and further undermine this weak Tory government and it has the country with it as it is increasingly clear that support of a hard Brexit doesn’t command any sort of majority. The Labour front bench did the right thing in calling for a transition period inside the Single Market and the Customs Union after Brexit. But it must be bolder still. We must listen to the overwhelming majority of Labour members and commit to membership of both long-term.